Tosiba and Vongo have partenered together to create the nice looking Gigabeat S. The device comes in 2 versions… the 30Gb and 60Gb model. 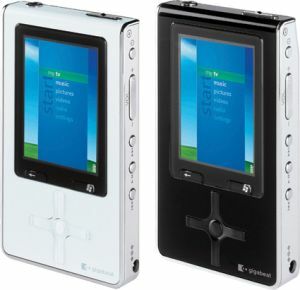 Technical features of this device are a 2.4-inch QVGA display, PMC 2.0, FM tuner, USB On-The-Go, etc. This is expected to tie in with Starz's $10 per month Vongo movie download service. 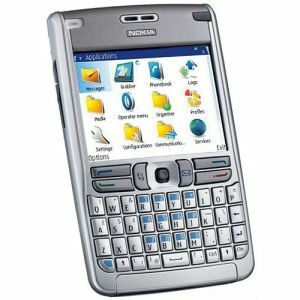 The Nokia N92 is due out soon and is packed full of even more features then the E61 mentioned below. 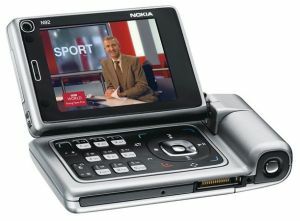 The N92 integrates TV in to your phone which is broadcast with Digital Video Broadcast Handheld (DVB-H) on to it’s nice sized 2.8″ screen. (Please check your service provider as DVB-H is not available via all operators). The N92 has a built in 2M Pixel camera and with the WLAN capabilities allows you to receive your own video broadcasts from home when ever you are in a Wifi hotspot (need to create a VLAN to do so). I like Smart phones! They give a lot more features then the regular phone and are handy tools to carry around. The Nokia E61 has many tools bundled in to it’s case. Notifications of new emails via LED, editing emails on the go, sending emails on the go as well as talking on speaker phone at the same time… These are just a few of what this device is capable of. * Memory Functions – Up to 75 MB of fixed user data memory. Expandable memory: 64 MB hot swappable miniSD card. 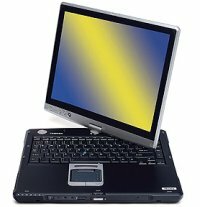 * Display – Active matrix display, Supports up to 16M colors Adjustable display brightness and contrast control. Ambient light sensor for keypad display lighting control. The World Cup is set to be a testing ground for TV on mobile phones. I already see links on my Three phone offering to send me video clips of each goal right after it happens live. I can see video on the move being very popluar with 3G services now being around.